There are several signs that San Clemente will remain a quiet village, no matter how fast or how many new homes are built on the hills around it. People still stop to chat as they stroll down Avenida Del Mar, the city's shopping showcase. The same people take the same spots on the 33 acres of beach that border the southernmost tip of Orange County. And while newer, larger communities are served by area malls and shopping centers, San Clemente's local merchants still manage to serve a large part of the community. It is the kind of lifestyle that developer Ole Hanson envisioned when he founded the city in 1929. Hanson dreamed of building a "Spanish Village By the Sea" when he purchased 2,000 acres of then-Rancho Santa Margarita for just over $1 million in 1926. 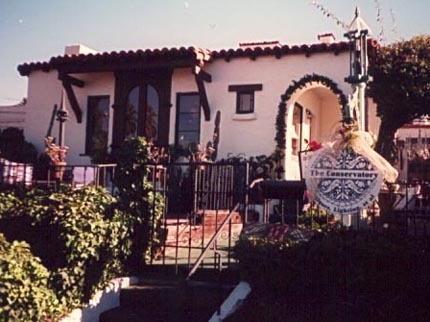 Hanson built white, stucco homes with re-tiled roofs, then a swimming club and downtown shopping area to match. He, his family and the men who plowed through acres of brush to make way for development gave city streets charming, Spanish monikers to fit the feel of the city. And as the city drew thousands to its beaches every year, it won converts who moved their families into the white stucco, red roofed homes as well as the new developments. One of those converts was then President Richard Nixon, who bought Casa Pacifica, one of the city's well-known Spanish mansions, in 1969. The city won instant fame as the "Home of the Western White House" and the president became a local celebrity at area golf courses and restaurants.